Today’s guest post is written by John Moffitt, Astrophysicist & HMNS Volunteer. Amateur astronomers are getting a better look at Comet ISON as it dives toward the sun for a Nov. 28th close encounter with solar fire. As the heat rises, the comet brightens, revealing new details every day. This photo, taken Nov. 10th by Michael Jäger of Jauerling Austria, shows a beautiful double tail. One tail is the ion tail. It is a thin streamer of ionized gas pushed away from the comet by solar wind. The filamentary ion tail points almost directly away from the sun. The other tail is the dust tail. Like Hansel and Gretel leaving bread crumbs to mark their way through the forest, ISON is leaving a trail of comet dust as it moves through the solar system. Compared to the lightweight molecules in the ion tail, grains of comet dust are heavier and harder for solar wind to push around. The dust tends to stay where it is dropped. The dust tail, therefore, traces the comet’s orbit and does not point directly away from the sun as the ion tail does. Comet ISON is currently moving through the constellation Virgo low in the eastern sky before dawn. Shining like an 8th magnitude star, it is still too dim for naked eye viewing, but an increasingly easy target for backyard optics. Amateur astronomers, if you have a GOTO telescope, enter these coordinates. Four comets visible in the pre-dawn eastern sky. Look with binoculars before the sun comes up. To find out whether Comet ISON survives its close encounter with the Sun and how to see it in December’s morning sky, come to the Burke Baker Planetarium Friday through Sunday of Thanksgiving weekend. An ISON update will precede each Planetarium show! Thursday, December 5, 6 p.m.
Comets and asteroids that roam the inner solar system and are a possible threat to Earth. Comet ISON will be grazing the Sun on November 28, and if it survives, it may come within our view. Dr. Sumners will give an update on Comet ISON and other incoming objects. Includes viewing of the show Impact! 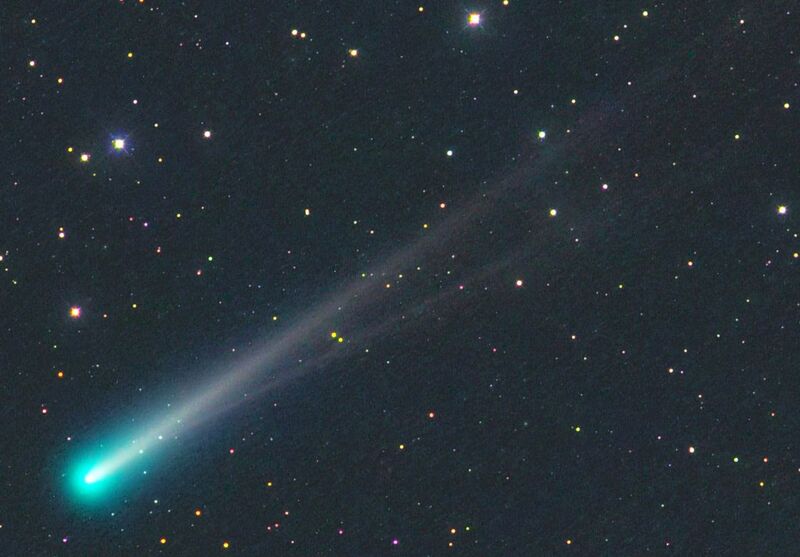 Click here for tickets and more information on the Comet ISON briefings. Previous Post 2013 Holiday Gift Guide is Here! Next Post Tales from Tanzania: So, why do zebras have stripes, like, for real?